South City dreams come to life with this show-stopping STL Hills Charmer.Enter through this brand new,custom-stained wood front door into this large LR with bonus seating area.Then flow to the spacious DR that is ready to entertain your most fancy or casual guests.Love tall cabinets w tons of storage and stainless appliances?Then you will love this kitchen and all it has to offer!The main floor also offers two spacious Beds,plenty of closet space and a full bath.The finished,walk-out LL with a 3rd Bed, and a GIANT family room/rec room with a full Bath adds endless amounts of living space.A large laundry room, closets and a workshop offer tons of storage.The walk-up attic with tall ceilings and 800+SqFt is ready to be finished with your own special touches. 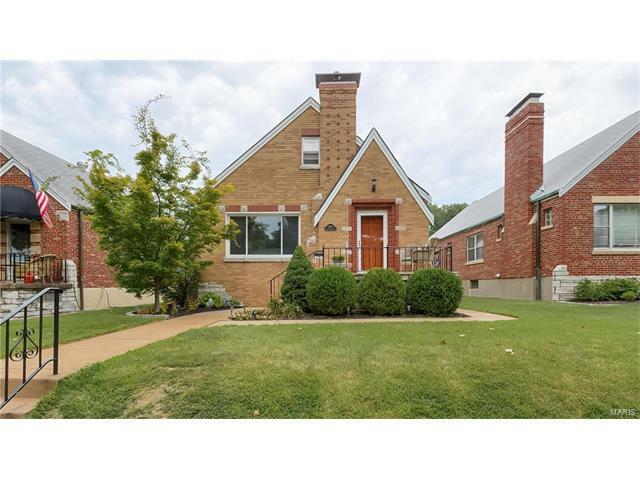 The adorable back porch doubles as a sitting room/mudroom and leads to a newly poured patio and large,level backyard.Do not miss this chance to live in the heart of STL Hills just blocks from the park,restaurants,shopping and more! Hampton to West on Nottingham to North on Prague to West on Lansdowne.